Aqua Paper Ribbon is great for Birthdays, Baby Showers, Weddings and more! Your perfect wrapping accessory for making charming packages a breeze! 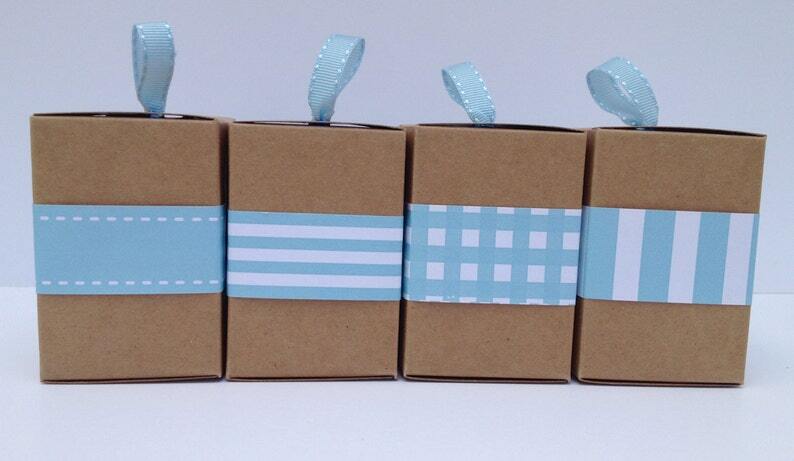 This listing is for one box of narrow Aqua paper ribbon in the pattern of your choice. Use the drop down box when ordering to indicate your pattern choice. The box contains a 10 yard roll of 1" wide Paper Ribbon which is enough to wrap more than 10 shirt boxes or 30+ favor boxes (Note Gingham and Ladder Patterns are slightly wider than 1"). Paper Ribbon is professionally printed on 60# text paper in a matte finish. It is NOT adhesive so it is re-positionable and easy to work with and it comes packaged in a self-dispensing box making it easy to store and use. This paper ribbon is perfect for making my cookie packages look beautiful! Shipping was fast and the paper is made of great material. I also love the cute packaging it came in! Love the hot pink. It really pops! This hot pink color is fabulous on the paper ribbon. I bought two designs and I am going to buy more asap. Very fast holiday shipping and my order was perfect!